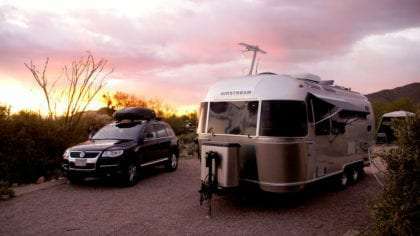 Small compared to the modern concept of the big white box RV, silver and sleek and the object of many a traveler’s desire, Airstreams have earned their place alongside such American icons as Fender Stratocasters, Coca Cola Classic and the Saguaro cactus. They are timeless, changing slightly over the years but essentially remaining the same: a relatively small, lightweight, beautifully crafted piece of machinery with the solitary goal of helping us explore this great nation. But as with all RVs, they’re more likely to be owned by an older couple enjoying the myth of the American pension than any of us belonging to some younger generation. We caught up with a variety of travelers over the past few weeks though who are exactly that: young and in love with their aluminum home sweet homes. Before we can explore their modern day stories, though, we need to explore the legend itself. Fireworks lit up a night sky in Baker City, Oregon four years before the phrase “turn of the century” would mean ushering in 1900. A booming city on the rise thanks to its key position as a midway point between Portland and Salt Lake City, very few of Baker City’s residents would understand the significance of this day outside of celebrating a nation’s 120th birthday. Within the city limits though was a child born. 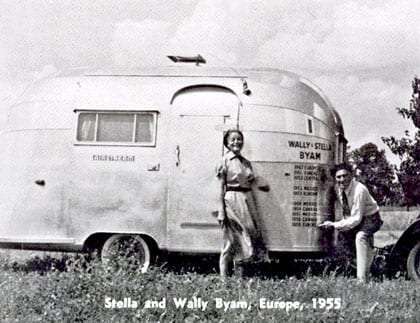 His parents would name him Wally, and by fate, fortune and his own two hands he would eventually go on to create the oldest travel trailer business in the United States. By the 1920s, the United States had fallen head over heals for the automobile. The first World War was over, prohibition was in full swing, and Route 66 was being carved into the American psyche for as long as time still remains. Wally Byam, a graduate of Stanford University and magazine publisher was drafting an article on how to build your own travel trailer. By this time in his life, Wally had already sailed the high seas via the merchant marines and owned his own advertising agency. He was a traveled man of the world and an entrepreneur at that. He sat, we can assume at some old oak desk with a globe off to his side and a typewriter beneath his fingers, drafting up the plans to create a home on the road in response to complaints readers of his publication had over shortcomings with a design he’d published earlier. The final result of his efforts: one of the first trailers tall enough to stand in and cheap enough to be built for less than $100. While unsatisfied with his initial design, Wally Byam would spend the next forty years, the rest of his life, perfecting the design, if such a feat were possible. The result was the Airstream, a rounded, aluminum travel trailer which came to symbolize America’s freedom, beauty and craftsmanship. 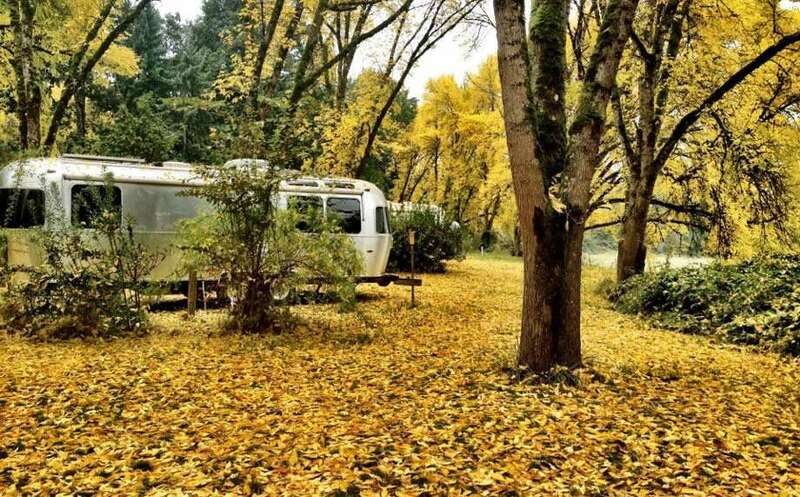 Left: a Vintage Airstream circa 1960s. Right: a modern Airstream. In the meantime, he organized caravans of his aluminum creations like elephants holding one another’s tails. Leading his customers and fellow “Airstreamers” across the world. In 1959, before the notion had donned on most of Africa, or the world even, of paving highways, they drove from Cape Town to Cairo. Europe, Mexico and of course the United States would follow. Wally created a piece of history, never putting his name on it but nonetheless, whenever the word “Airstream” is uttered, his legacy is evoked. From somewhat humble beginnings assisting his grandfather leading mule trains and working as a shepherd he rose to fame and fortune in his lifetime. 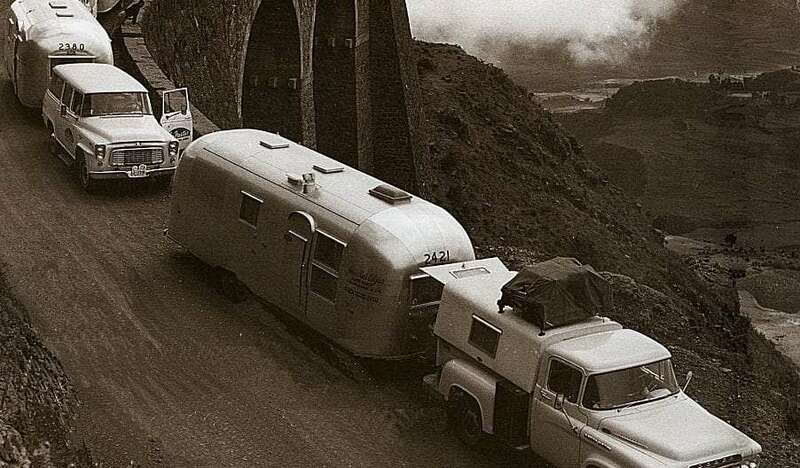 In 1956 he covered his personal Airstream in gold and, towing it with a Cadillac, crossed Europe. The Capetown to Cairo caravan Wally Byam organized in 1959. Fast forward to the 1970s. A young mother is packing up her five year old daughter, two year old son, a few poodles and a duo of guinea pigs into an even-old-for-that-time-period pickup truck. She hops onto the Alaskan Highway and the flock of them all migrate through Canada and eventually down to California. 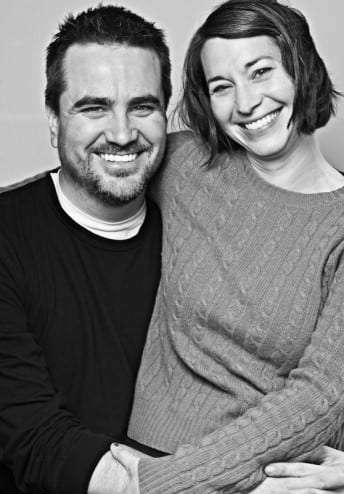 Laura, also a photographer, and Kevin run a publishing company by the name of Electronic Engineering Journal. Based out of Portland, Kevin, perhaps only somewhat jokingly, admits that as a native Texan, he’s spent his life trying to ditch the accent. “My parents were both schoolteachers in Texas. When I was about four, we moved to a place in West Texas that had terrible quality of life, but paid great teacher salaries.” His parents took advantage of the extra income and bought themselves a pickup camper…and a small airplane. “Because they were teachers,” he recants, “my parents also had almost three months off every summer, so we’d jump in our camper and head out on extended adventures across the country. Kevin talks about his home town of Denver City, Texas as though it was prison. He literally describes it as such at times, and indeed at nearly an hour and a half from Lubbock, the nearest “big city”, it’s easy to see how it could have been a geographic prison if not an actual bars and barbed wire one. 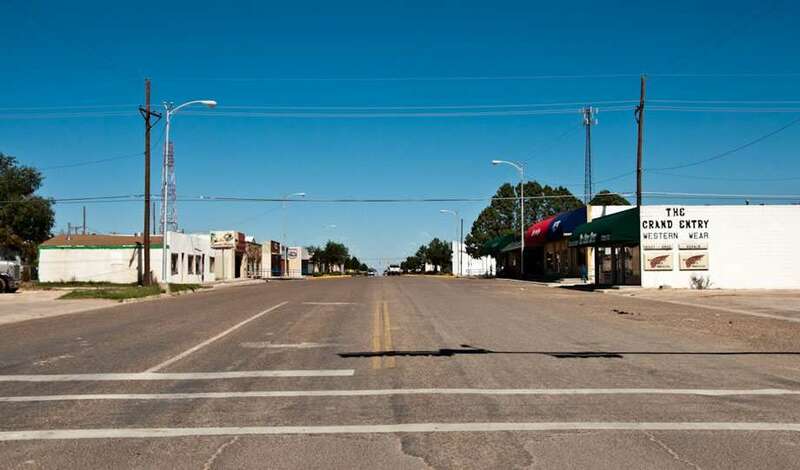 A truck camper was not enough to flee this middle-of-nowhere–and not in the good way–small town that symbolized only the stink of Texan oil fields and desolation of being surrounded by nothing but nothing at all. Owning an airplane gave his family the freedom to escape to the Land of Enchantment or Rocky Mountains, to make quick time to anywhere else. 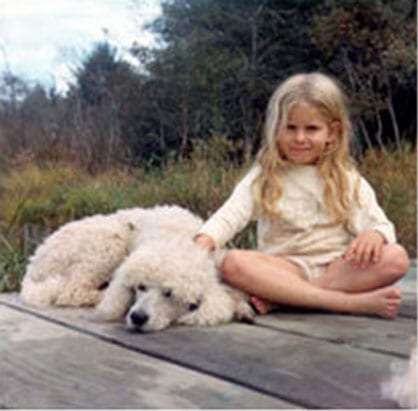 Both were taught wanderlust young, and such passions no doubt helped lead them to find one another in life. Portland, Oregon, America’s modern day mecca for all things ultra-hip, set the stage. “I worked for a technology startup in Texas,” says Kevin, “that was bought out by a company in Oregon. I was transferred to Portland and loved it immediately.” Twenty-five years later his affair with the City of Roses keeps him coming back. 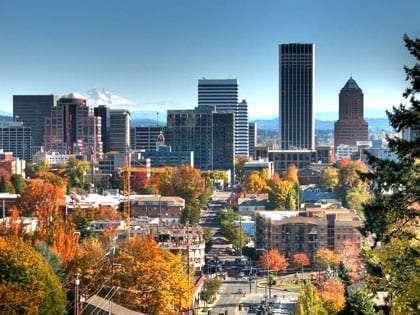 Laura, who moved to Portland from Southern California in 1995, interjects, “We have a home in Portland that we really love. We spend about half time at home and half time in the Airstream on the road. We’ve done up to four months at a time traveling in the Airstream and we love it. Last August we started out on a one-month trip to Colorado and back, but each place we were, we decided we should keep going further.” Every time they landed somewhere new, made it a bit further from Mt. Hoods’ shadow, they figured they could surely make it just a few more miles down the road. Like many a seasoned traveler, they don’t seem to feel the pressure to live up to any specific definition of what they should be doing with their lives. Choosing to live in an Airstream was the product of all of the couples’ prior journeys. Early in the life of their publishing company they were backpacking the country, and then car-camping. “We did a month-long trip to Colorado,” Laura recalls, “where we were publishing articles using a Treo smartphone tethered to a laptop to get internet from a tent by candle lantern. It was romantic, but as our company grew, we needed to keep up. We were at the Museum of Modern art in San Francisco one time that same year and saw the Christopher Deam 16’ Bambi Airstream and fell in love.” Realizing the small travel trailer might serve them much better as a mobile office than a tent, the two set off on achieving their newfound goal. Aside from aesthetics, running a business that publishes articles to the web requires them to be capable of connecting to the web whenever the need might arise. “Our company is virtual and distributed. We have no central office and our entire staff works from home…or wherever they happen to be. All they need to work is a laptop and a good Internet connection. For us, it is critical that we have a good, reliable connection so we can work from the road.” Over the years they got a bit fed up with depending on campground WiFi which wasn’t always reliable and often simply didn’t exist. After a stint with satellite Internet, which Kevin describes as “a huge failure,” they came up with a hybrid solution. Armed with three shots at connecting to the web wherever they go, the rest of their work happens across two MacBook Pros paired with a couple of iPads and, of course, iPhones. Without their Airstream at the moment, the two are currently busy exploring New York, visiting friends and photographing the city. Eager to get back to their latest adventure, Laura leaves us with this final bit of advice. Keep up with Laura and Kevin via the Riveted blog where they regularly post about Airstream interior design and their adventures, and be sure to check out her gorgeous photos of bands, bridges and beautiful people over at Domela. Finally, if you’re into fun, somewhat geeky reads and dig electronic engineering, the couple also runs EEJournal.com. Kyle Bolstad, a Montana native and Chicago transplant, decided he was going to sell his worldly possessions and move into an Airstream in 2009. Having visited every Canadian province and US state save for Hawaii, he seems to have absolutely no regrets. Kyle Bolstad of Where is Kyle Now? living the solo Airstream life. A web developer by trade, Kyle runs a website called Where is Kyle Now? that boasts his adventures. From seeing Denali appear Moses-like from behind parting clouds during an Alaskan sunset to meandering up the white sands of Florida’s Gulf Coast, he’s traveled the continent as a solo traveler for about four years now. Kyle was actually on Sanibel Island for the interview, visiting with family who flew in to join him from Montana and Colorado. Though he typically navigates the concrete passageways of America on his own, loneliness rarely has a chance to get a good, firm grip. He’s referring to gatherings where Airstream owners get together and talk all things shiny, riveted aluminum. Putting greens and writing code aren’t exactly the first things that come to mind when imagining high adventure, but that is the beauty of a life lived comfortably on the road. There is time for adventure and the various other things one might enjoy doing, or simply need to do in order to keep the bills paid. But don’t let that confuse you, just because it’s possible to live a somewhat normal life out of an Airstream doesn’t mean Kyle has any intentions of doing so. 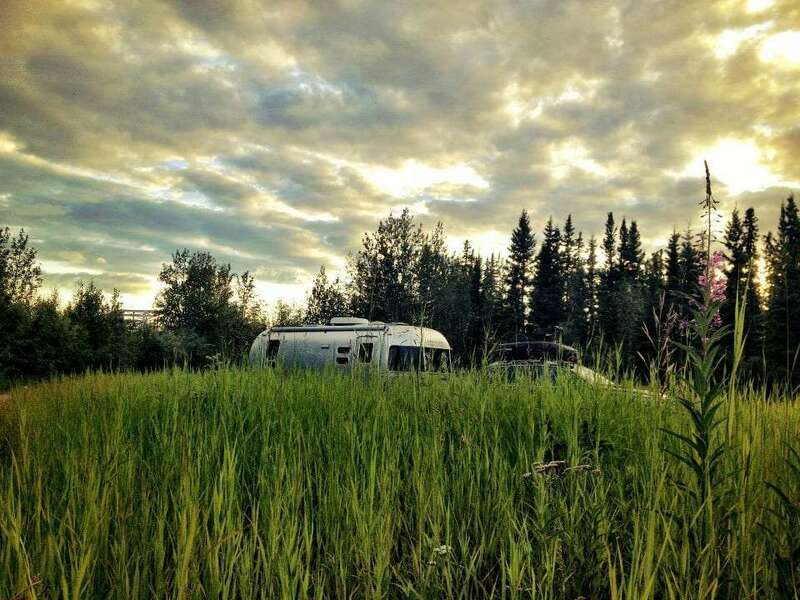 By day he watched Alaska from the water, nights he camped every somewhere new. As his Internet connection disappeared in favor of more and more wilderness, Kyle began to fall in love with the Last Frontier. While on the ferries, navigating the Inside Passage, he was effectively separated from his home, as passengers and their vehicles are kept in two distinct areas of the vessel. Naps in reclining chairs and always looking toward the next port became commonplace. Eleven days and 500 miles that no doubt changed the 30-something for the rest of his life. Kyle saw some 45 bears during his stay in Alaska, but he recalls sightings number 4 through 7 most acutely. 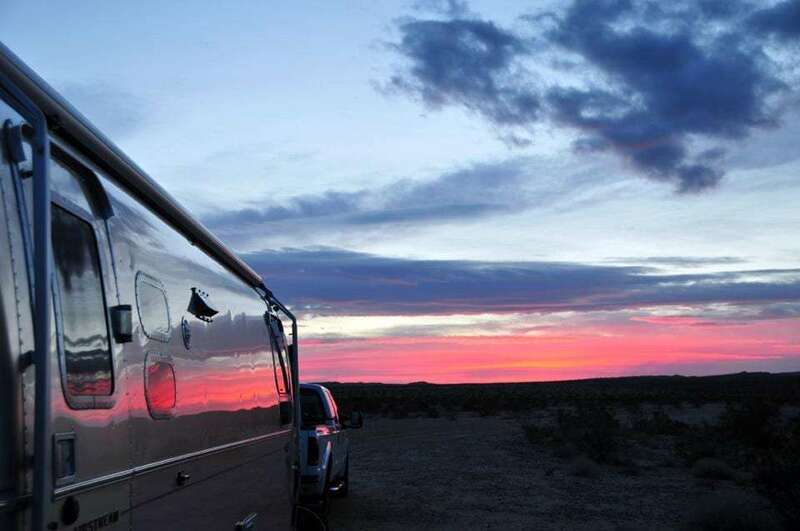 Living in an Airstream isn’t just for solo travelers and young couples, read our interview with Mali Mish, a young couple and their three children living, traveling and enjoying via an Airstream. Leigh and Brian, another young couple, are also in possession of a shiny new Airstream which they call their home full-time. But unlike the rest of the folks who were kind enough to let us into a little slice of their lives, owning a new Airstream was just one chapter in an aluminum legacy. Prior to purchasing their 2012 Flying Cloud two years ago, they were previously the owners of a 1963 Flying Cloud. 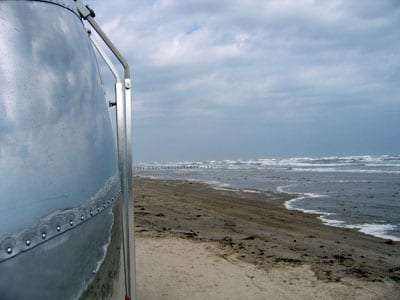 There is no travel trailer cooler than an Airstream, except for a vintage Airstream. “The 1963 Flying Cloud got a lot more attention than the 2012,” Leigh admits, “though we still get quite a few thumbs up from people passing us on the road.” The statement draws a little mourning in my own soul for our old 1978 Volkswagen Bus. I remember how, almost 99% of the time, we’d pass other vintage VW owners and they’d give us the peace sign. Like old air-cooled Volkswagen enthusiasts, vintage Airstream owners are fiercely proud of their rigs, not only for the cool factor of owning something older than most of the humans on this earth today, but no doubt for the know how and dedication it takes to keep one of these running. “We survived 2 years full-time in the ’63, and the only reason we couldn’t go longer in it was because it had a wet bath that we rarely used for showering.” A wet bath, for those who’ve never had to endure such a circumstance, means that your toilet and sink and countertop in the lavatory are all part of a single stall–which includes the shower. So every time you take a shower, you soak your entire bathroom in water. The couple vied instead to stick strictly to whatever showering facilities were available at the RV parks they visited. At one point in their days of living vintage, while staying on Texas’ Padre Island National Seashore, literally right on the beach, they opened the door one February afternoon to take their dog Curtis for a walk only to find the Gulf of Mexico creeping up on their home. Four feet away, the tide was coming in quickly. The Gulf of Mexico approaches! Indeed, for first time full-timers not only adjusting to the road, but to the quirks of a fifty year old travel trailer, life would have been interesting to put it all too mildly. Even with experience, she warns that full-timing, while full of romantic notions and endless possibility, does not come without some amount of hardship as well. “It takes a certain personality type to do full-time. It definitely isn’t for everyone. There isn’t a lot of room for extra ‘stuff’ and you have to really get along well with your partner.” Her words ring a truth somewhat relatable to how punk rockers love their lifestyle, but want as few other people to participate as possible. As though the full-time living is for a class of people who are willing to put the effort in and with a wisdom that realizes not everyone will be able to handle close quarters and limited possessions. It’s a refreshing thought after hearing so many of those of us who love it reenact our experiences as though no moment was stressful, nothing ever difficult. We like to meet people the old fashioned way…in campgrounds. Leigh and Brian, 42 and 39 respectively, spent two years in the 1963. As 2013 comes to a close, they’ll have made the two year mark again, this time in their newer model. Leigh oversees e-commerce development for a national retailer while Brian is a part of an as-yet-undisclosed Internet startup. They meet fellow youthful adventurers not via any official Airstream clubs, but simply by checking out blogs and via an almost lost art: meeting people in person. "Sunrise on my trailer makes me happy" - from the Aluminarium Facebook Page. 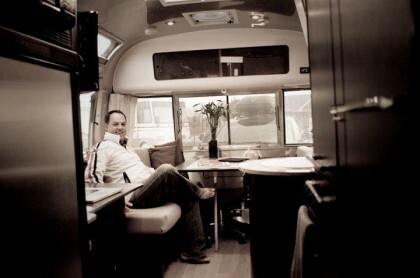 On their blog they talk about the virtues of a new Airstream. How it “just works” and they can spend more time exploring and less fixing problems. I asked her why they chose the ’63 in the first place. Follow along with Brian, Leigh and Curtis via Aluminarium.com. Two years ago, another young couple set out to live full-time in an Airstream. They weren’t necessarily sure even as to how much actual traveling they’d do. It was all part of a grand experiment, a way of changing their lives and embracing a series of lifelong epiphanies. They wrote about their greatest fears, what they thought the absolute worst that could happen to them might be. “I think that fear has definitely gone away for the most part, but I’m still afraid of things like being stranded on the side of the road and running out of gas, but I think that most of the other things I’ve gotten over through experience.” The voice is Tiffani Waters’, the more feminine half of the Tiffani and Deke Waters duo. Deke and Tiffani, the happy couple. Laura Domela. “Any fears about letting go and living with less have certainly gone away for me.” One of their top three fears back then was a “fear of the unknown.” That exact sentiment is what keeps most of humanity from living out their dreams. It’s what keeps us going to 9 to 5 jobs, living in houses we don’t like in cities we don’t love. It’s what prevents all of the human race from being rock stars, magicians, astronauts and entrepreneurs. In short, it’s what keeps us down as a civilization, and some might say it’s part of a greater conspiracy. For those who take a moment to actualize their dreams in spite of those fears, though, it becomes so apparent how relatively easy it can be to find happiness. Deke was not always the minimalistic, ready for adventure type, though. Raised with two older siblings and a father he describes as “the ultimate consumer”, Deke grew up, like the rest of us children of the late 20th century, wanting GI Joes and Transformers and just generally looking to amass “stuff”. So far we haven’t had any moments where we wished we were back in a house. Then along comes a job recruiter named Tiffani who hires him for a position in Chicago. You can imagine the love story for yourself, but suffice to say some type of whirlwind romance eventually resulted in rings wrapped around one another’s fingers and Deke moving into her small apartment. Tiffani, already somewhat the minimalist at the time, watched as Deke began hauling box after sofa after box of his stuff into her 600 square foot, one bedroom apartment. The early days of any marriage can be tough, and there story was not that much different than what most of us experience: a severe case of learning to adjust. In order to achieve such an accomplishment, they do the only thing a rational bunch of newlyweds can do: buy a bigger place. This is what happens with most of us. We accumulate possessions we rarely use, fill up our living space, and then “upgrade” to a bigger home. They could have easily continued down the path the American dream takes most of the nation’s population: more debt and square footage than can handle. So many of us become our own personal Great Depression. But Deke, likely with some guidance from Tiffani, has his epiphany. “Stuff” is not the secret to success in life. Living life well is. 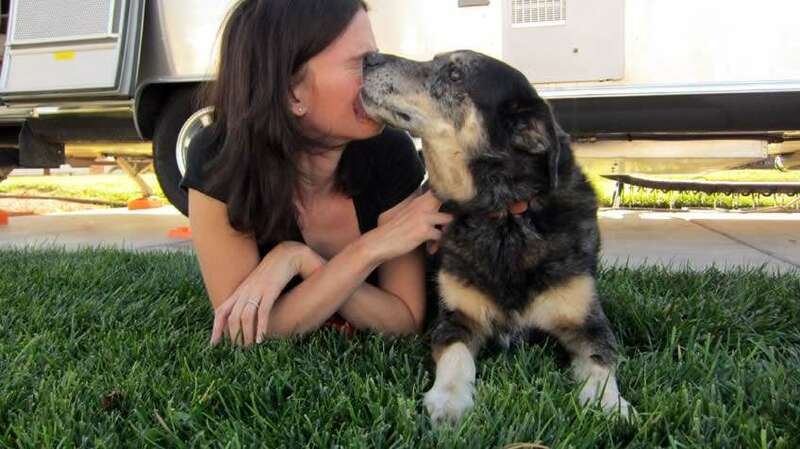 She goes on to admit that though they could probably still live in the 22′ Airstream they had originally purchased, upgrading to a 27′ ride made all the difference. Unlike the other travelers in this article though, Deke and Tiffani have participated in Airstream Clubs. 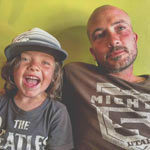 Read our interview with ‎the official Airstream club to learn a bit more about the community. Along with Kyle and likely others we’ve had the good fortune to delve into the aluminum lives of, Deke and Tiffani will be attending one of these friendly rallies in Canada’s Banff National Park later this year. Though they don’t necessarily travel full-time, Tiffani and Deke do live in their Airstream all year round. The two also pride themselves on owning as few possessions as comfortably possible. They took something called the 100 Thing Challenge which boils down to trying to live a more meaningful life by eliminating unnecessary possessions. Living simply with what you need, not everything you an possibly afford. Our goal is to be on the road full-time and we constantly work towards that. Deke continues the thought. “I think we’re still doing pretty well. I’ve found it challenging to minimize my wardrobe while working full time–it’s a self imposed challenge. It’s also super tough to go full on minimalist when we live in a place where there are so many awesome outdoor activities. So far we’ve racked up bikes, snowshoes, and camping gear that are overdue for weeding out.” Somehow I imagine the 100 Thing Challenge to allow room for snowshoes if you find yourself using them toward a better life, while perhaps owning a third and fourth pair of shoes might be more akin to items that could find their way out the door. Living simple is part of a master plan though. Deke, who still works full-time for a company, hopes to eventually expand his freelance web development career into something that can get the couple on the road full-time, not just living in their Airstream 365 days a year. “Our goal is to be on the road full-time and we constantly work towards that. We’re always trying new things,” for example, Tiffani says they’re going to the Vintage Trailer Academy Workshop held in New Mexico next month to see if restoration is something they might want to do for a living. Whether they achieve a completely funded full-time traveling lifestyle or simply remain living in their Airstream and traveling as much as possible might not even matter in the long run. Deke and Tiffani both seem to be very intelligent, at least where it counts: knowing what your dreams are and how important it is to wake up and go after them in the real world. “I think there are a handful of defining moments in everyone’s lives that truly change their trajectory.” Deke isn’t just participating in an interview now, he’s relating the ethos of his life. “Like a lot of people, my first defining moment came when I realized that I had officially left my parents’ home and probably wouldn’t be returning. Not because I wasn’t welcome back, but because I wouldn’t let myself return. The actual moment that changed me, oddly enough, happened when I paid my first month’s rent on my first off-campus apartment as a junior in college. It slapped me squarely between the eyes: I’m really an adult now. I have a choice to pay rent or go back home. Luckily, I chose to keep paying rent, working and going to school. Wrapping things up, Deke quips a quick stat, something to make anyone, traveler or otherwise, consider the possibility of living this Airstream lifestyle. 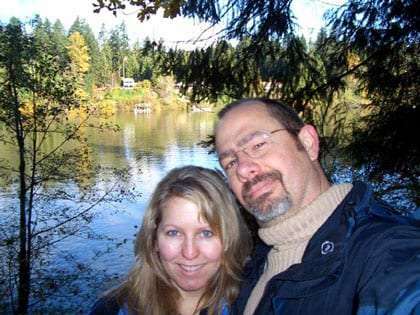 Tiffani and Deke offer advice and adventure via their blog, Weaselmouth. Back in 1936, some 400 companies were manufacturing travel trailers. Airstream was the only one of them all to survive the Great Depression. At age 66, a brain tumor resulted in Wally Byam’s last breath. As his life flashed before his eyes one is left to wonder if he could see the romance he dotted across this nation in his own time as clearly as that he would leave on the future for some still unexpired time period. No one sees a Jayco or a Fleetwood or a Coachman and thinks, “Wow, now I want that.” Most people don’t even know who those companies are, but whether they know the actual word “Airstream” or not, we’ve all seen these mirror bullets cutting through the scenic highways of this continent. They symbolized possibility for Johnny Depp’s character in What’s Eating Gilbert Grape and served as the first home the Apollo 11 astronauts knew upon their return from the moon. Silver as they are, there is nothing so red, white and blue, so star spangled bannered as someone escaping the chains of the traditional white picket fenced American dream as a man, woman or child making wherever his home via one of these iconic travel trailers. Check out our own 1976 Airstream International Sovereign of the Road renovation.